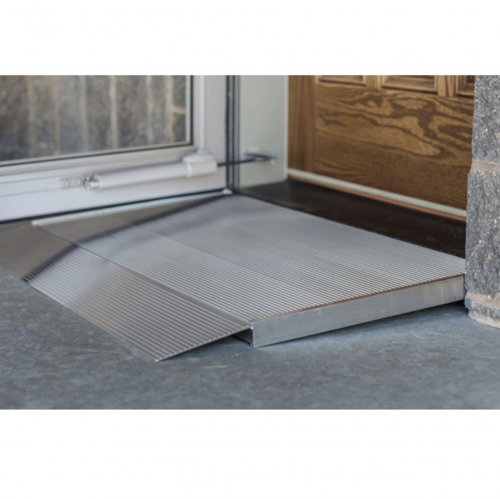 The aluminum Threshold Wheelchair Ramp is ideal for use at doorways and thresholds from 1/2″ to 6″ in height. 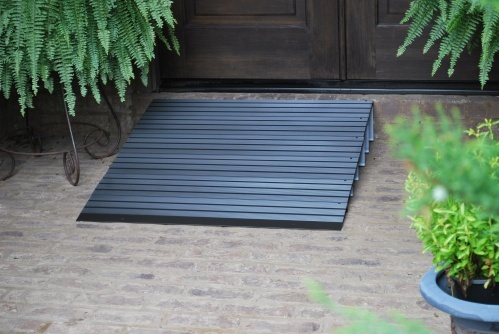 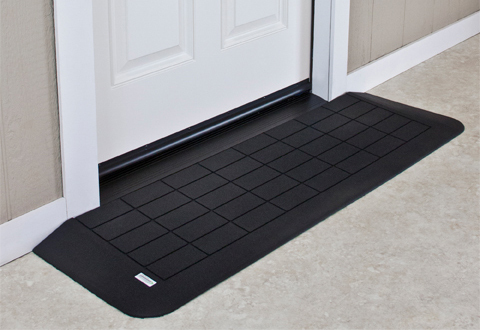 We have solid and modular aluminum threshold ramps to help with access into your home and other rooms. 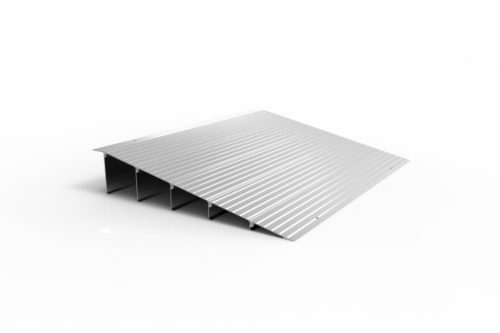 Some of these have protective edges. 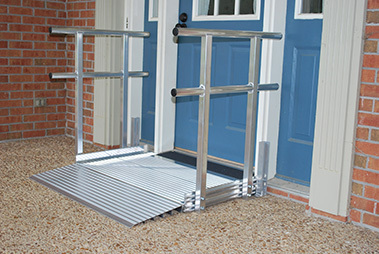 Call us to help you find out the ideal solution.